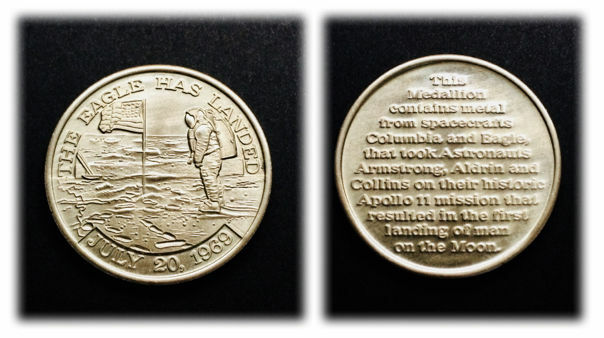 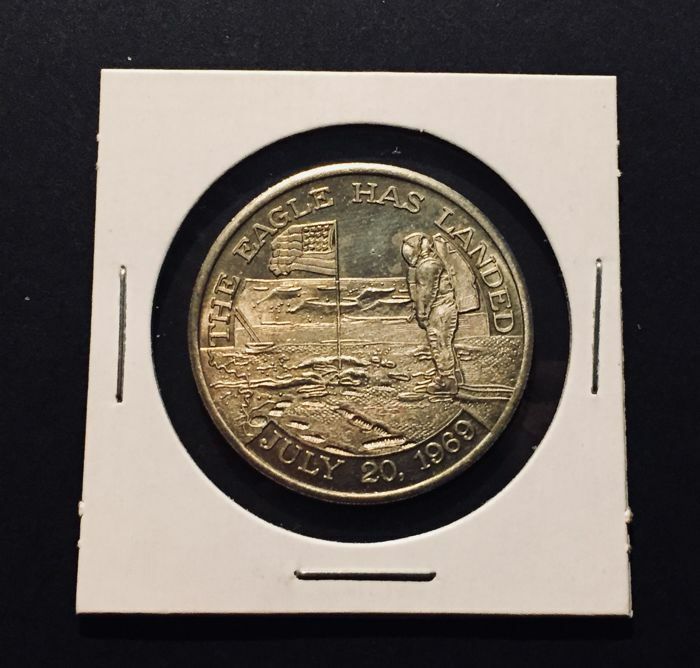 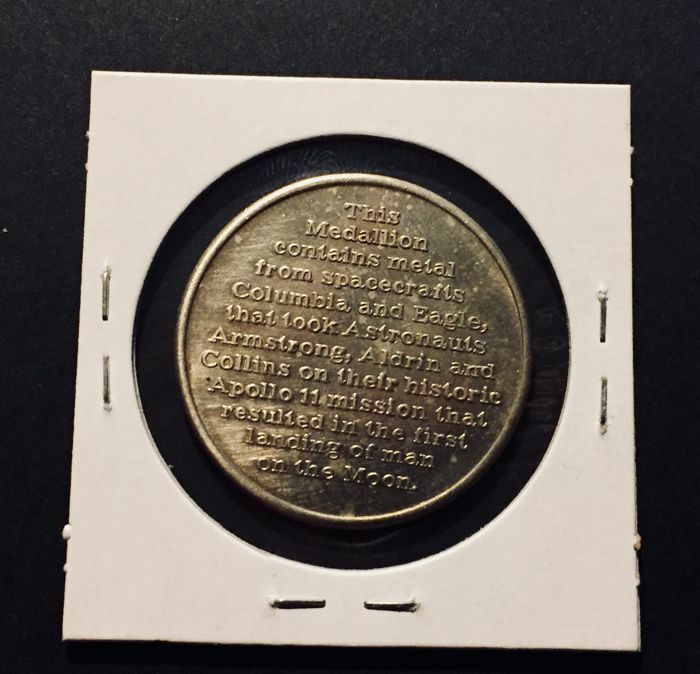 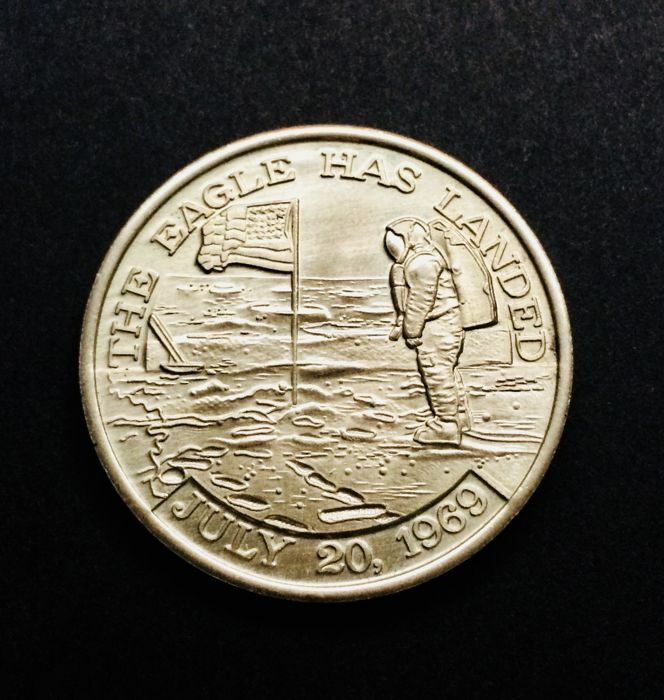 Amazing item by the Legenday Apollo 11 - Medallion contains Apollo flown metal that went to the moon! 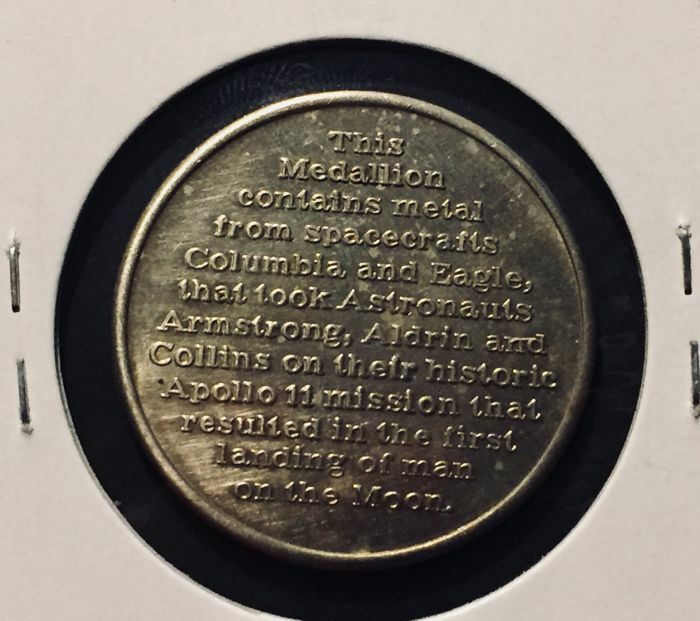 This Medallion contains metal from spacecrafts Columbia and Eagle, that took Astronauts, Armstrong, Aldrin and Collins to 1st historic Apollo 11 mission that resulted in the first landing of man to the Moon. 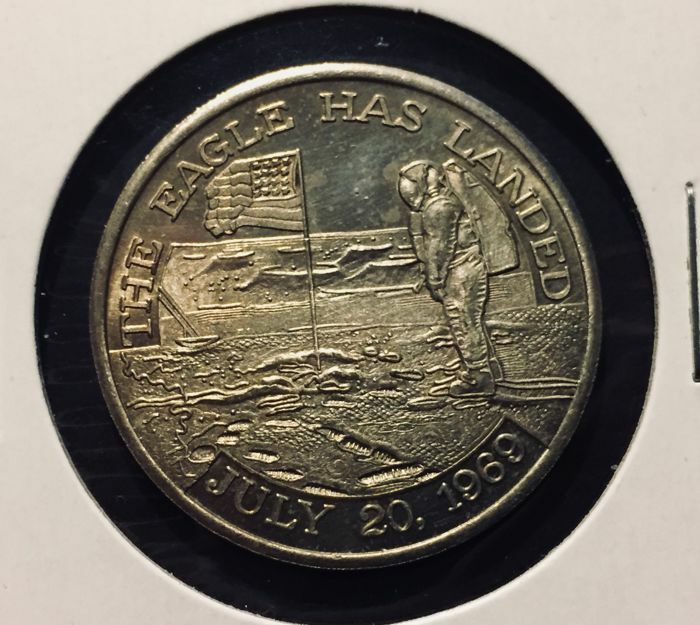 Historic First! 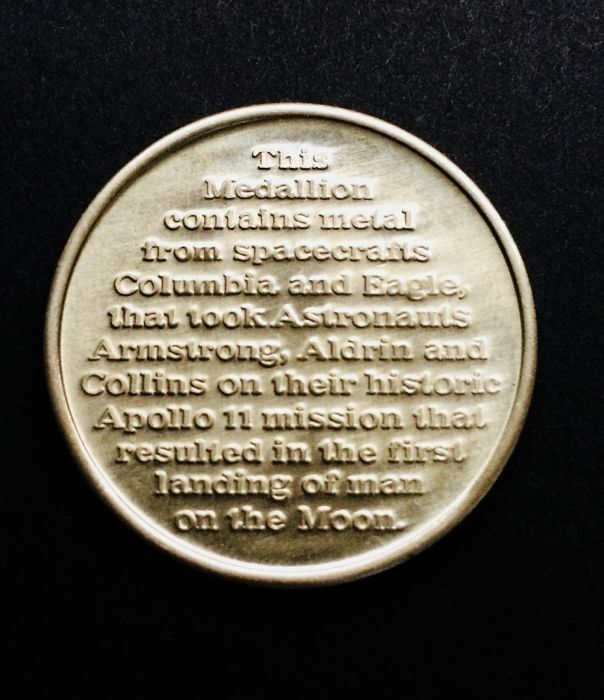 This 3cm diameter two-sided Medallion includes Apollo Flown Metal! 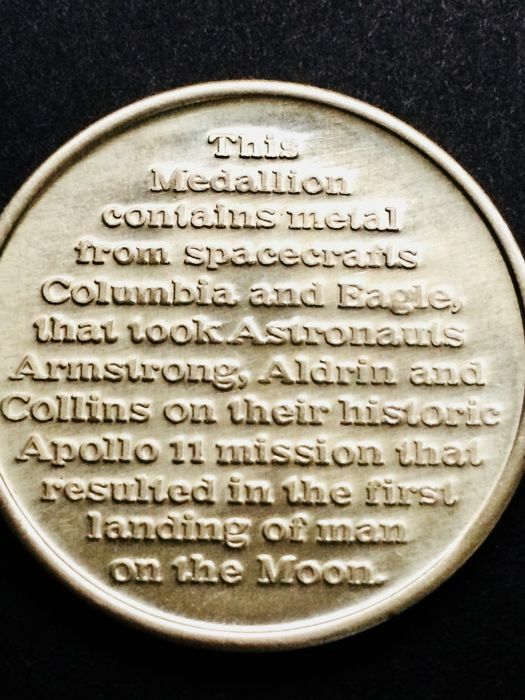 On one side is the APOLLO 11 LOGO.